OK, so grips aren't very exciting. The fact remains that they are a very important component. As it happens, I have fairly small hands for a guy. I need the smallest diameter grips available that will still perform adequately. These grips are in fact a bit smaller in diameter; they grip well; and as a bonus, they're a bit lighter than the stock set. Now the stock grips were actually a pretty decent set (Avenir... do these guys have a website?). They are dual-compound, like the WTB set, grip well, and definitely don't twist on the bar! I thought I'd never get them off the stock handlebar to remove the stock levers/shifters. But, by the time I wrap a padded gloved hand around them, they were just a little too large in diameter for me. Easton is making a fine carbon-fiber flatbar in the CT2. I've had some experience working with composites (Army Aviation, and R/C airplane fuselages and wing skins), and this is top quality work. With a limited lifetime warranty of manufacturing and workmanship, and a lifetime crash replacement policy, the CT2 is my pick as the best CF flatbar made. It got great reviews at mtbREVIEW. Easton is one of the few manufacturers whose quoted component weight (125g) holds up to the scrutiny of the scale. This bar (580mm x 3� sweep) is actually lighter than advertised! Not a lot to say about the stock aluminum handlebar that came with the bike. Obviously a fairly seriously swept riser bar, it works well with the OE stem for a comfortable, upright "cruising" position, but I prefer the flatbar for a better body position (for me), much lighter weight, and face it... carbon-fiber simply looks cool! 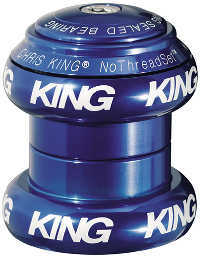 Excitement over my new Chris King part got the better of me, and I forgot to take a picture of my pewter colored NoThreadSet prior to installation, so this blue one is from the King website. It's simply a gorgeous part, screaming quality in every detail. See some reviews of it at mtbREVIEW. Great, detailed instructions (pdf).... and smoooooooooth!! Hmmm, not really all that bad of a headset, but simply not in the same league with the King part. It already had a lot of dirt infiltration after less than 200 road-only miles. I suspect it would have demanded a great deal of maintenance as the XC miles start to build up. And... it' about 33% heavier than the NoThreadSet. Just got back from my first ten miles on the Flite Ti TransAm, and am well-pleased to say the least. Getting the titanium rails is a little risky for my 220+ pounds, but it was worth it, to get this saddles other features! ...and here's the DB part. 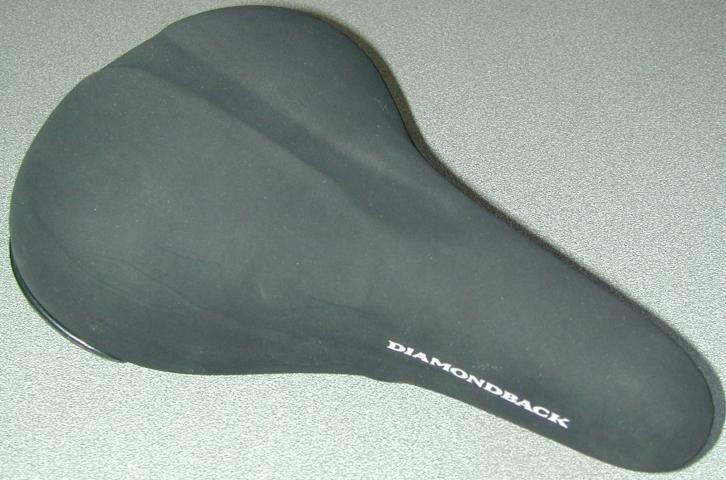 It's not a "bad" saddle. In fact it's a pretty good compromise to meet the wide range of tastes on a consumer-level bike. 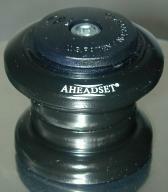 For me the seat post height is a very infrequent adjustment so I don't really "need" a quick release (QR) seat collar. They are heavier than their non-QR cousins, and I am just a bit uneasy trusting the support of my considerable "tonnage" to a quick release. ...and here is the OE part. I simply can't take a picture that does the Thomson Elite seatpost justice. Gorgeous workmanship! 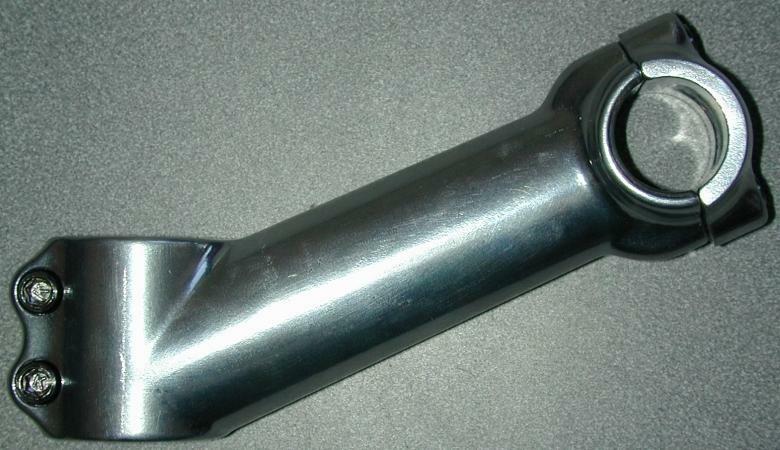 I don't know exactly how the tube/flange is fabricated, but it is a single piece.... no welds or press fits to fail!! 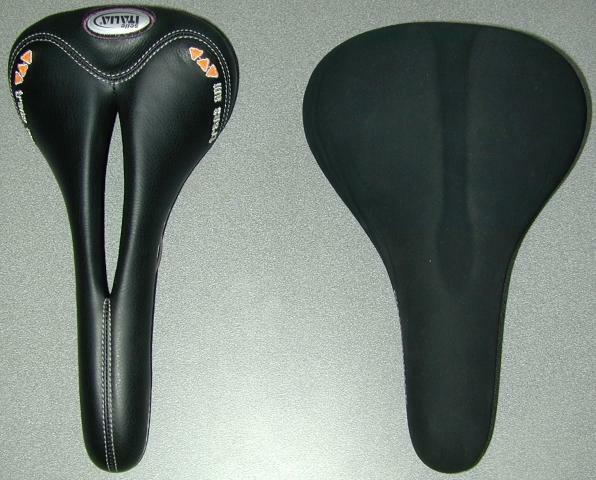 In addition the tube void is elliptical with more material in the forward/rear portions of the tube offering increased strength in the axis experiencing the highest stresses. 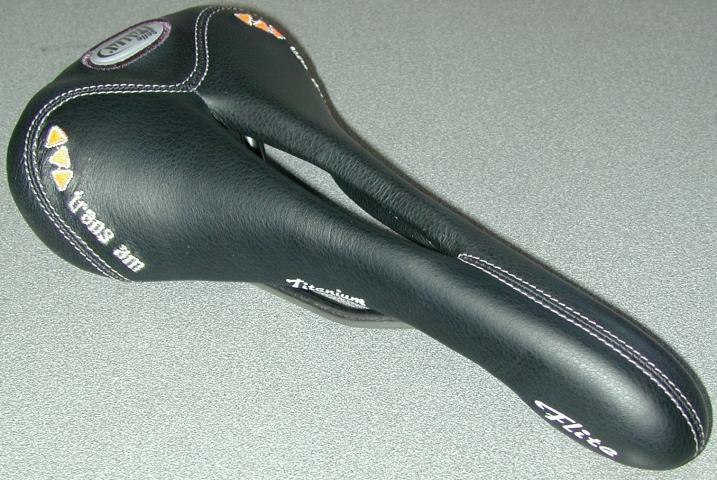 The fore/aft saddle setting is accomplished via dual/opposed adjustment screws. 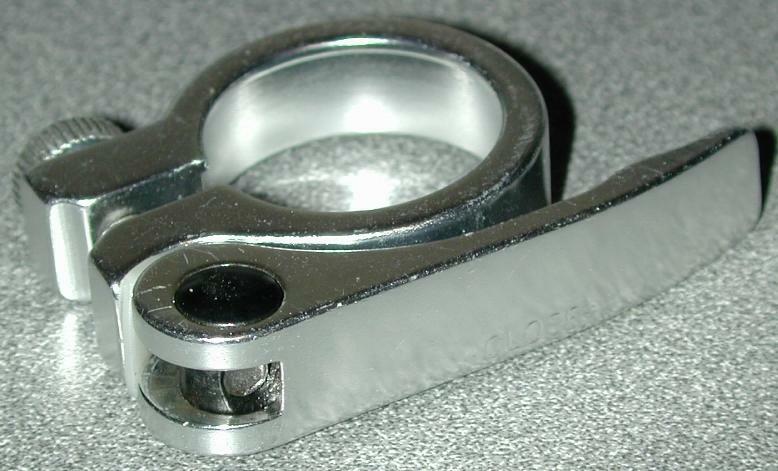 The lower half of the saddle bracket has an index mark, and the flange has a +/- degree scale with a 2 degree resolution (click for closeup). Additionally, etched graphics, good instructions, and a respectably light weight make this part is a winner so far. Check the reviews over at mtbREVIEW on this part. Surely wish Thomson had an internet presence, though! ...and here's what was replaced. This is the DB Response Sport OE seatpost isn't bad.... just heavy! 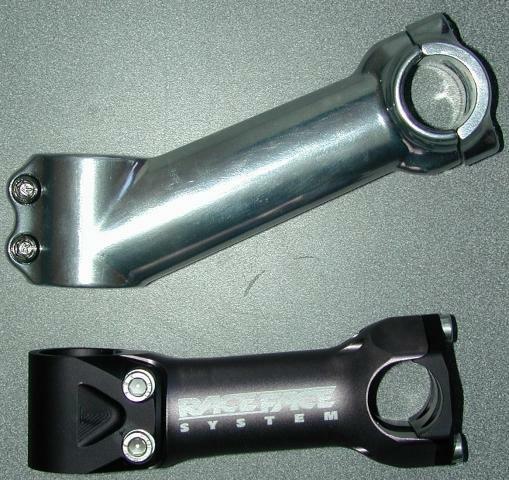 This is due primarily to the steel upper and lower bracket and adjustment hardware. The flange appears to be a press fit and bears the apparent maker's name, "KALIN". At right, is a comparison shot of the Race Face SYStem and the OE part from my DB Response Sport. There is just no comparison in fit and finish. Notice how the Race Face design keeps the steering tube clamp bolts out of "knee range". 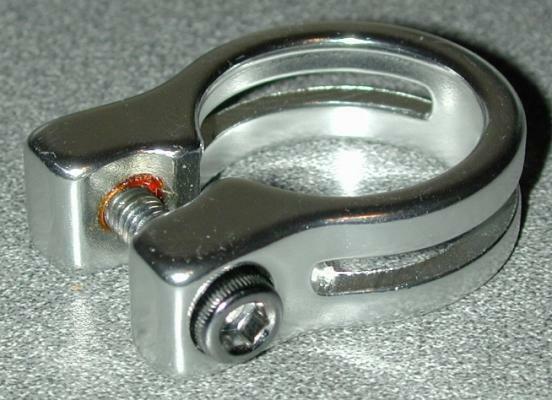 And they use replaceable "Steer Tube Clamp Pins" to receive the "Steer Tube Clamp Bolts", instead of threading the clamp. Nice features, not to mention a respectable weight reduction! Revised: March 03, 2006 .